Knowing the meaning and importance of “End of” dates is useful for small businesses as they plan on upgrading their critical IT assets to their optimal level. In this blog post, we will explore the most important “End of” (EO) abbreviations, what they mean, and why it is important for your company to know these dates for all your IT assets. Working with a trusted IT partner, your small business should take the time to know and understand the meaning and importance of the various EO terms. This knowledge will help you avoid frustrating issues such as the unexpected end of licenses and maintenance support that could hinder your business operations. To better understand why vendors use these OE terms and set specific dates it is useful to review the four stages that a typical IT hardware or software product goes through during its lifecycle: Introduction, Growth, Maturity, and Decline. The duration of these lifecycle stages are estimated by the product vendors and, ultimately, determined by the speed of technological development, product profitability, and the level of competition. In the Introduction and Growth stages, a vendor invests considerable time and expense to promote its product and successfully gain market share. During the Maturity phase, the product usually has reached it maximum revenue potential and has leveled out, so the vendor focuses primarily on maintaining its market share and fighting off current and new competitors in the product space. Inevitably, every type of IT asset, be they hardware or software or another type of equipment, will reach the Decline stage in its product lifecycle. This generally happens when the vendor has decided to introduce a new or upgraded product with improved features that is more profitable and/or when a competitor or competitors have either introduced a superior product or saturated the market so that the current product is no longer earning profits at a sufficient level. 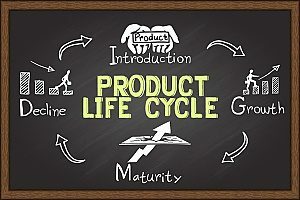 EOL stands for “End of Life.” When a vendor has determined that the Decline stage point has been reached, they generally will announce publicly that the product has served its useful life and that it in a short time period (usually 3-12 months) it will no longer be available for sale. Most vendors will not produce or offer any more updates to their products after this point. They will also wind down their efforts to market the product during this phase. They will then officially notify the public of the “End of Availability” (EOA) or the “End of Sale” (EOS) date as described below. After the announced EOA or EOS date passes, the vendor will no longer sell the product directly to the public. The product will no longer be available for purchase through any official sales channels. The only way a customer will be able to purchase a new product would be through third party suppliers. However, after the EOA or EOS date, vendors will generally still honor warranties and maintain certain levels of technical support and service for the product as well as provide replacement parts for equipment for a substantial amount of time (normally for a number of years). Vendors want to make the product transition process as smooth as possible for current and potentially new customers, so they will usually provide adequate support and service for a respectable time period after the EOS or EOA date. IT vendors will also take the opportunity during the EOL and EOA time periods to inform and educate their customers on the benefits of upgrading to the latest model of their products. In short, vendors will try to balance a reasonable amount of patient support for a customer’s use of their outdated products while gently nudging them toward the adoption of their improved products. The abbreviation EOSL stands for the “End of Service Life,” which is an important date for companies to note. Also known as the LDOS or “Last Date of Support,” this is when vendors will no longer offer any support or service for their products. Some vendors will allow determined customers to maintain access to support and service at a premium rate, but this is rare. At this drop dead point, the only way for a customer to get maintenance or customer support for a product is to engage a third-party expert. We strongly recommend that your company consult carefully with a trusted IT Support partner, such as Network Depot, to have a plan in place to maintain or replace your critical IT assets when they start to reach these EO time periods. Some issues for your company to consider carefully are outlined below. Your small business is currently using a variety of IT assets including hardware, software, and other equipment that you purchased from different vendors. 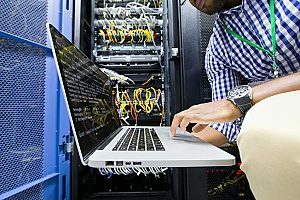 Each IT asset has a different recommended useful lifespan and each vendor has a variety of different warranties and service plans that it offers during these product lifespans. It is important to carefully keep track of all the EO dates as well as stay on top of all recommended upgrades and updates to your IT assets. Your company should work closely with your IT partner to prepare an IT budget that takes into account which critical assets need to be updated, upgraded, or replaced with new products from your current vendor or a competitor. Your optimal IT budget allocation must weigh the importance of the IT assets themselves along with the need to enhance or completely replace each asset. Although it seems counterintuitive, it sometimes makes good business sense to continue using a product after it reaches the EOSL point. Some IT assets do not become obsolete as quickly as their manufacturers predict, and these assets might still be giving your company the functionality you need at the proper expense point. In addition, there are also third-party providers who can offer a sufficient level of support and service for some IT assets at an acceptable price. In some cases, they offer better service at a better price than the OEM. 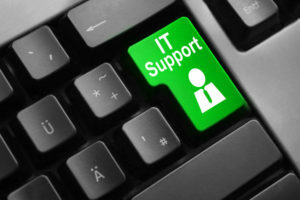 In these instances, your IT partner would recommend that you continue using such an IT asset after EOSL, but they would caution you to still plan carefully for its inevitable replacement. In summary, we recommend that you take the time to work with your IT partner to know and understand the various “End of” dates of your IT assets so that you can most efficiently prepare your IT budget. Understanding your IT assets functionality over their suggested and real lifespans in combination with knowing the costs of maintaining or replacing them will help ensure that your company will always be operating at its optimal level.